When it comes to the history of heavy metal music, no other band has had such a profound impact in the genre’s formation and evolution than Birmingham, England’s Black Sabbath. 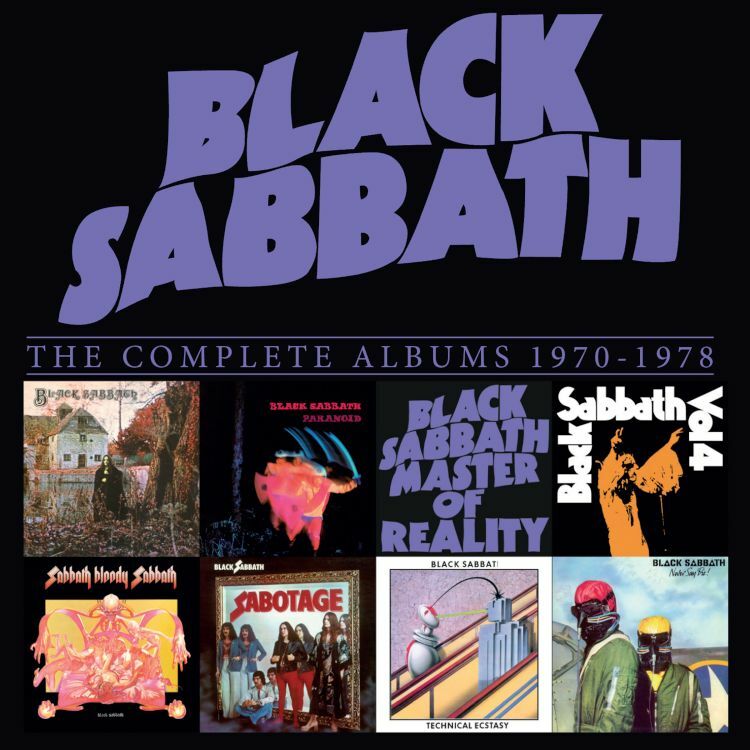 In listening back to the first eight studio albums made by the original classic lineup of Ozzy Osbourne, Tony Iommi, Geezer Butler and Bill Ward, it’s amazing how groundbreaking and yet commercially popular the music was in the 1970s. But more importantly, these records show how influential Sabbath’s sound was on every heavy metal and hard rock band that came after them, from Judas Priest and Iron Maiden to Metallica. These eight albums collected in a new boxed set are essential in every heavy metal fan’s library – or at least the band’s first several records. The first album, Black Sabbath, defined the band’s reputation for their brand of hard rock and doomy persona, as evoked on the title track. But it was 1970’s Paranoid that really broke the band, containing such iconic tracks as “Paranoid,” “War Pigs” and “Iron Man.” Sabbath’s height of popularity continued on through albums Vol 4. (whose highlight “Changes” is the precursor to many a heavy metal power ballad during the ’80s), Sabbath Bloody Sabbath (the pile-driving, turbulent title track), and Sabotage (the excellent and noisy “Hole in the Sky” and the thrashy “Symptom of the Universe”). While decent efforts in themselves, the last two albums Technical Ecstasy and Never Say Die! showed that the band going through the motions (the horns on the jazzy “Breakout” from Never Say Die! is an indication). By the end of the decade, Osbourne departed and embarked on a phenomenally successful solo career while the rest of the band carried on with another legendary singer, Ronnie James Dio. But Sabbath’s legacy was already assured had the band ended right there with the first eight albums. While metal fans probably already own the original lineup albums, this set is a perfect and essential starting point for the newbie.